Call Extensions are a special sponsored search feature only available on mobile and tablet. 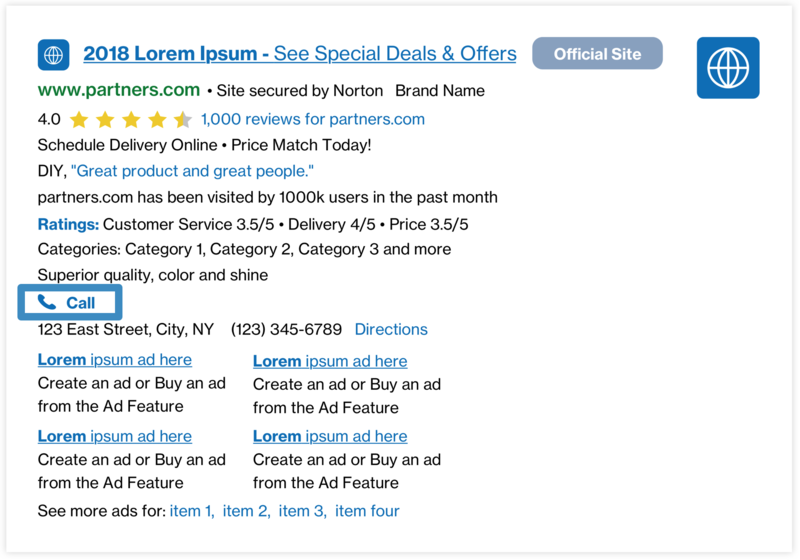 This feature gives users a convenient way to call an advertiser's business directly from the search results. More calls mean more answers for users and more leads for advertisers. Results: Some Partners have seen an estimated lift of +2-3% RPS. Results may vary.